Ever wondered what peasants wore in England in 682, or needed to explain why it was important for people to make pilgrimages to their religion’s Holy Land? Brill’s Medieval Reference Library Online can help answer those questions and more. Brill’s Medieval Reference Library Online consists of four reference resources. Brill's Encyclopedia of the Middle Ages covers European medieval history from c.500-c.1500 over a broad range of topics. The Encyclopedia of Medieval Dress and Textiles provides articles on medieval dress and textiles of the British Isles c.450-1450. The Encyclopedia of Medieval Pilgrimage deals with the role of travel in medieval religious life and covers the period from c.300-c.1500. Finally, The Encyclopedia of the Medieval Chronicle presents the latest research into the chronicles written and studied in the Middle Ages. 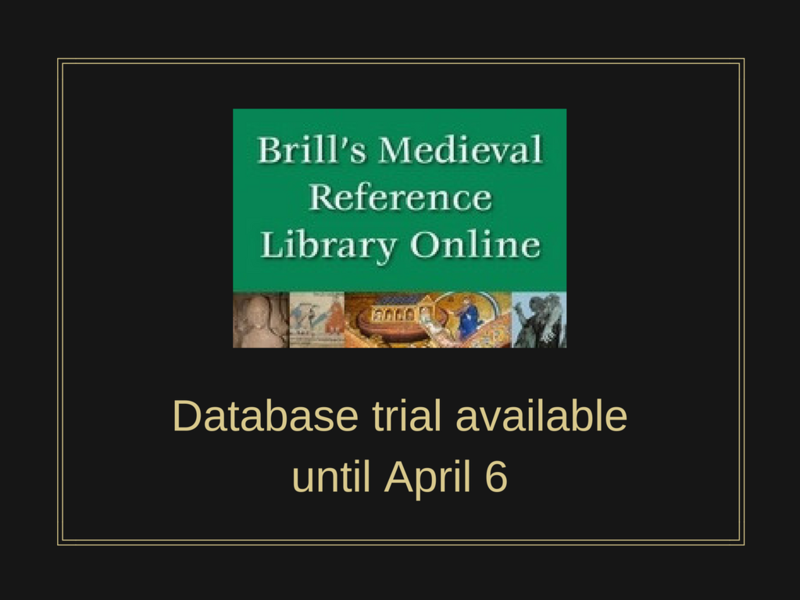 Brill’s Medieval Reference Library Online give your the ability to browse each work, or search through all or one with the basic or advanced search options. Register for a free account and be able to star and label results, as well as save searches, all to help you with your research. Check it out before our trial ends on April 6, 2017. 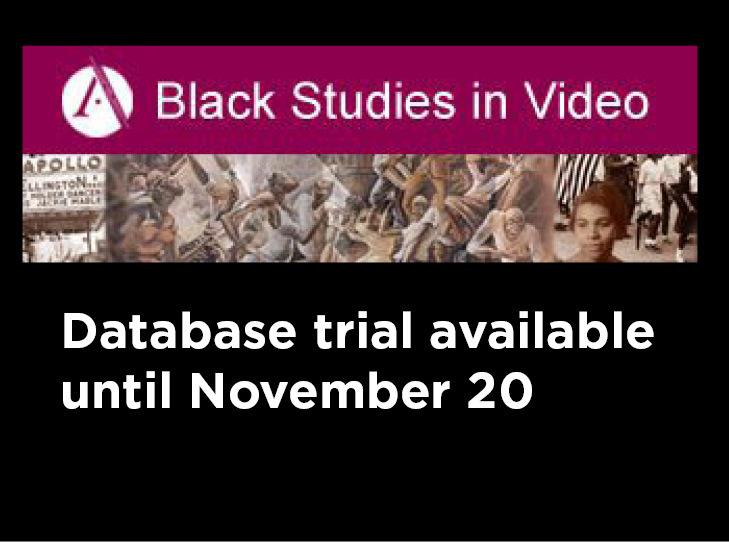 Black Studies in Video is part of Alexander Street featuring documentaries, newsreels, interviews and archival footage surveying the evolution of black culture in the United States. In partnership with California Newsreel, the database provides access to their African American Classics collection, and includes films covering history, politics, art and culture, family structure, social and economic pressures, and gender relations. The collection of videos ranges from 1950 to date and provides running transcripts. If you create a free Alexander Street account, you can add bookmarks and create clips of videos, as well as make playlists. Check it out before our trial ends on November 20, 2016.